Strict design and silver V-shaped stripe at the body of the mouse tells as that CNE-CMSW3 has character. 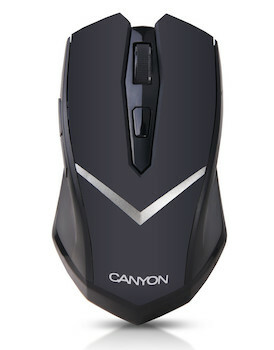 Wireless mouse is staffed with two main buttons, ribby scrolling wheel, thin dpi button and additional up/down directorial buttons. Is suitable for both hands.